Nicholas T. Giangrasso, age 85, beloved husband of Hilda Louise Frank Giangrasso of Trumbull, died on Thursday, January 24, 2013 at St. Vincent’s Medical Center while holding hands with his loving family. Born in Astoria, New York on November 23, 1927, he was a son of the late Carmello (Thomas) and Nancy Giaimo Giangrasso and was a Trumbull resident for over 75 years. He was a World War II Veteran serving in the U.S. Navy. Mr. Giangrasso received a Bachelor of Science degree from Georgetown University and a Juris Doctorate degree from Georgetown Law School. Before his retirement he was an attorney who practiced in the area for 44 years. 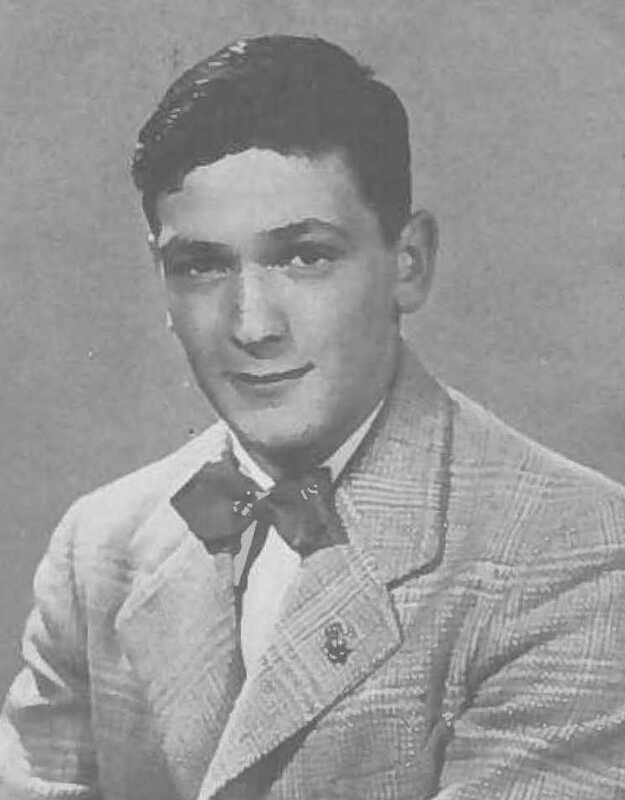 He also was an assistant prosecutor of the Circuit Court for the 2nd Circuit of CT, a past member of the Greater Bridgeport Bar Association, an active member and past president of the Trumbull Italian Community Club, a member of the Knights of Columbus, the Fayerweather Yacht Club and the Turkey Roost Rod & Gun Club. 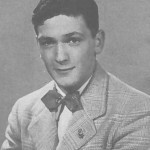 In addition to his wife, survivors include four loving children, Nancy Card and her husband Richard of Beacon Falls, Theresa Navarre and her husband Louis of Morris, Nicholas C. Giangrasso and his wife June of Venice, FL and Daniel A. Giangrasso of Trumbull, a brother, Dr. Anthony Giangrasso and his wife Bettie of Trumbull, a sister, Bessie Butto of Trumbull, six grandchildren, Alison, Kimberly, Richard, Gary, Lindsay and Nicole, a great grandson Quinn as well as several nieces and nephews. A Memorial Mass celebrating his life will take place on Thursday, January 31, 2013 at 11:00 a.m. in Christ the King Church, 4700 Madison Ave, Trumbull. There will be no calling hours. Arrangements have been entrusted to the Abriola Parkview Funeral Home, 419 White Plains Rd., Trumbull. To light a virtual candle, visit us at www.abriola.com. The world lost a special man when Philip Denniston was reunited with Jesus on January 18, 2013. He was a prince of a man and was deeply loved by all who knew him. Phil cherished his wife, Georgiana; was proud of his three sons, Philip, Jr. (WA ’66), Peter and Scott; and was crazy about his ten grandchildren, Daphne, Philip III (WNS ’96), Thomas, Carrie, Sarah, Erin, Laura, Gavin, Kate and Rachel. Completing his growing family were his three daughters-in-law, Patricia, Susan and Debra and his grandchildren’s spouses, Ashley, Susan, David, Charlie, Greg and Elizabeth; along with seven great-grandchildren, Mia, Ryder, Little Tom, Carson, Brooke, Dylan and Wyatt. Phil was a very active community volunteer having served on the school board for St. Paul’s Episcopal Church and on the board of the Ventura Community Memorial Hospital. He was also President and Treasurer of the Ventura Dance Club and he was a long standing member of both the Ventura Rotary Club and the Ventura Chamber of Commerce. Phil really enjoyed traveling with his wife, Gigi who also shared his love for ballroom dancing. Phil was born on June 6, 1922, in New Paltz, N.Y.
To honor his family being one of the seven founding families of this hamlet on the Hudson River, Phil was a lifetime member of the Huguenot Patriotic, Historical and Monumental Society of New Paltz. Phil attended the Williston Academy in East Hampton, Mass., and pursued his love of architecture and economics at the University of Virginia in Charlottesville. He was a member of both the Phi Delta Theta social fraternity and the Alpha Kappa Psi professional fraternity. When duty called, Phil joined the Naval Reserve Officer Training Corps ultimately serving as a Lieutenant of the United States Naval Reserves. He served in active duty during World War II from 1943 to 1946 where he commanded a United States Navy submarine chaser. After his honorable discharge from the Navy, Phil completed graduate studies at Harvard University. Phil also had a real love for retail merchandising so, in 1946, he joined the management training program of Macy’s flagship department store in New York City. This led him to Carson Pirie Scott in Chicago and ultimately to Carter Hawley Hale Stores in California. Phil retired, after almost 40 years in the retail industry, as the store manager of the Broadway Department Store at the San Buenaventura Center. To honor him and his contributions to our community, we will be celebrating his life at a memorial service at St. Paul’s Episcopal Church at 3290 Loma Vista Road in Ventura at 2 p.m. on Saturday, January 26, 2013. There will be a reception at the church immediately following the service. In lieu of flowers, the family kindly requests that you make a donation to your favorite charity in memory of Phil Denniston. Arrangements are under the direction of the Ted Mayr Funeral Home and Crematory, 3150 Loma Vista Rd., Ventura. Condolences may be left at TedMayrFuneralHome.com. Claire Crisona passed away suddenly on December 18, 2011, in her sleep. Adoring wife of the late Ralph, beautiful beloved mother of Elizabeth Auran and Nancy Cascella, cherished sister of Cynthia Crisona, proud and beaming grandmother of Catherine and Emilv Auran and Robert and James Flatow, loving mother-in-law of James Auran, dear companion of William Bruce. She was the devoted daughter of the late James and Claire Crisona. Generous, loving friend to so many. Her family and friends were her life. She will be forever missed. Visiting Frank Campbell, 81st and Madison Avenue, Tuesday, December 20th 2-5pm and 7-9pm. Mass of the Resurrection St. Ignatius Loyola Church, 84th and Park Avenue, Wednesday, December 21st, 11am. 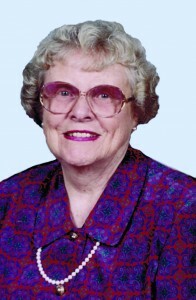 Carol F. Parker, 86, beloved wife, mother and grandmother, died at her home in Sun City Carolina Lakes, Indian Land, Fort Mill, SC on June 7, 2012. Mrs. Parker was born April 13, 1926 in Spring Lake, N.J. to the late Dr. James A. and Janet Ackerman Fisher. She was preceded in death by her brother, Dr. James A. Fisher, Jr. and her sister, Joan Fisher Forsyth. 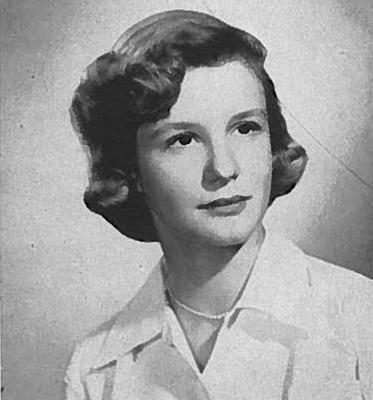 Mrs. Parker graduated from Northampton School For Girls in Northampton, MA in 1944 and attended Syracuse University. Mrs. Parker met her husband of 62 years in church in Asbury Park, N J where they were married June 3, 1950. During the next 55 years, they were both active in church and choral music in Easton, PA, Washington, DC and Alexandria, VA.
Mrs. Parker was always noted for her ability to make friends and remember names. She accompanied her husband through four years of undergraduate school at Lafayette College, where his fraternity brothers elected her Sweetheart of Sigma Chi in 1955. Mrs. Parker lived most of her married life in Mount Vernon, VA where she was a member of the Mount Vernon Country Club for 44 years, the Mount Vernon Hospital Ladies Auxiliary for 33 years and the Mount Vernon Kiwanis Club. Locally, she was a member of Unity Presbyterian Church, Fort Mill, SC. She is survived by her husband, Gayle. Surviving also are her daughter, Alison Parker, and grandson, Casey, of Louisville, CO and her son, Craig Parker, daughter-in-law, Monique and grandchildren, Bryce and Sarah, of Davis, CA. Also surviving are her brother-in-law, Royal Parker of West Windsor, NJ; niece, Janet Forsyth of Southern Pines, NC; nephew, Robert Forsyth of Springfield, IL; sister-in-law, Alice Fisher of Oakhurst, NJ; nephew, Jimmy Fisher and wife, Cathy, of Cavendish, VT; nephew, Diana Despo and husband, Bill, of Rumson, NJ; cousin, Dr. Ann Gosling of Kingfield, ME; cousin, Dr. Lynn Parry and wife, Mary Louise, of Interlaken, NJ; cousin, Dorothy Hoof of Culpepper, VA; and cousin, Marsha Doelman of Great Barrington, MA. Memorials may be made to Unity Presbyterian Church Building Fund, 303 Tom Hall Street, PO Box 1267, Fort Mill, SC 29716. Inurnment will be private at the Memorial Garden of the church. A memorial service was held at Unity Presbyterian Church on Monday, June 18, 2012 at 1 p.m.
George Joseph Hashim 1918-2012 PITTSFIELD Dr. George Joseph Hashim, 94, of 790 West Street, Pittsfield, died peacefully at Sugar Hill in Dalton on November 13. He was born on September 1, 1918, in Fall River, the youngest and last surviving of nine children born to David and Rafka Hashim of Aley, Lebanon. He was predeceased by siblings Freida, Michael, Joseph, Emma, Evelyn, Edma, Catherine, and Elias. He spent most of his life in Pittsfield, attending Pomeroy Elementary School and graduating from Pittsfield High School in 1935. He also attended Williston Academy. He was the first of his family to attend college, receiving his BA from the University of Vermont and his Doctor of Dental Surgery degree from St. Louis University. He was an officer in the U.S. Army Reserves. It was while he was studying dentistry in St. Louis that he met June Frank, who was attending nursing school at Washington University. They married in 1945. Dr. Hashim ran a thriving dental practice on 207 First Street in Pittsfield for 45 years, retiring in 1991. He took great pride in his work, had real passion for his profession, and had an incomparable work ethic. Dr. Hashim loved living in Pittsfield. As a child, he lived with his parents and siblings above Hashim’s grocery store on W. Housatonic Street, and, pulling a small cart, delivered orders that were placed by telephone (the best customers spent $20 a month on groceries, he once said). His favorite view was of Onota Lake on its West Street side, and in 1959 he was able to build his dream home there. He was a member of South Congregational Church, the Kiwanis Club, enjoyed hunting and became an avid painter. He also enjoyed traveling throughout the United States and had visited Europe a number of times. He was an accomplished businessman and also enjoyed working with commercial real estate. A second home in Palm Beach Gardens, Florida, provided him and his wife with many enjoyable winters where he grew bananas and lemons and would often marvel at the fish that their grandchildren would catch off of the dock on the property. He leaves his wife, June, his daughter Diane Glynn of Louisville, Ky., and his sons Dr. George Hashim Jr. (WA ’67) of Carlsbad, Calif., Dr. James Hashim (WA ’67) of Pittsfield, and John Hashim (WNS ’72) of Kirkland, Wash. His youngest daughter Susan passed away in 1989. He also leaves five grandchildren, Dr. Brian Hashim, Dr. Rebecca Hashim, Dr. Jeffrey Hashim, Christopher Hashim, and Rachel Hashim. FUNERAL NOTICE: A private memorial service will be held at a later date. Dery Funeral Home is in charge of arrangements. Memorial donations may be made to either the Shriner s Hospital for Children or St. Jude Children’s Research Hospital, in care of the funeral home at 54 Bradford Street, Pittsfield. Died May 5, 2012 in Tucson, AZ. Van Cott II, Waldemar, born May 14, 1924 in NYC. Moved CA in 1930. 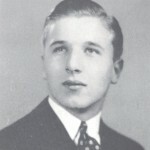 At 16, he attended Williston Academy in Mass. Navy 1943-1945. Back to prep school one year then at Purdue University; he was collegiate wrestling champ and acted in plays, was elected into Who’s Who in American Colleges 1949, then small parts in 20 movies. Employed at Douglas Aircraft 37 years; taught evening classes at OCC & LBCC; on the Huntington Bch. Personnel Commission for 21 years. He and his wife Louise met and married in Fort Walton Bch., FL where Douglas worked on missile tests at Eglin AFB. The family moved to Santa Monica, CA in 1963; then Hunt. Bch., CA in 1965. Gregarious and well loved to the end, Wally passed away July 12, 2012. He was predeceased by his father, Daire Van Cott; brother, Peter Van Cott; and mother, Bard Heywood Letts. Survived by his wife, Louise; son, Waldemar Van Cott III; daughter, Ann, her husband Steve; grandson, Cole Gnadt; and niece, Schuyler Field. A private “Celebration of Life” will be held at Sherman Gardens. Please support the Wounded Warrior Project at https://support.woundedwarriorproject.org in lieu of flowers. William Tryon Tyrrel Home: Huntington, NY Date of Death: June 4, 2012 Age: 90 Birthdate: November 4, 1921 Place of Birth: Brooklyn, NY Visitation: Private Interment: Private Tyrrel, William Tryon of East Northport, NY, on June 4, 2012 in his 90th year. Retired engineer with Fairchild Camera and Metco Electronics. Beloved husband of the late Patricia. Loving father of Sue Anne Tyrrel and Charles Tryon Tyrrel. No services are scheduled at this time. Donations may be made to The Church-In-The-Gardens, 50 Ascan Ave., Forest Hills, NY 11375, in William’s memory. ENGEL–Margery G., 100, died peacefully on November 10, 2012 in the home where she had lived since 1941. A graduate of Smith College ’33, she was predeceased by her husband of 40 years, George C. Engel; her companion of 16 years, Howard M. Harris; her son, George C. Engel, Jr.; and her siblings, Eleanor Karger and Harry Goldsmith. She met sorrow with strength and cherished rich and loving connections with all of her family and friends. Margery is survived by her daughter, Susan E. Golden and her son, John P. Engel; daughters-in-law, Diana Engel and Elaine Reichek and son-in-law, Philip Golden; grandchildren, Deborah Goldberg, Nancy Lazarus, Robert Golden, Laura Engel, James Engel, Maria Engel and Luisa Engel; seven great-grand children; Peter Harris, and his wife, Janice Harris; Benjamin Harris and Jesse Harris. Contributions in Margery’s honor will be welcomed by New York Service for the Handicapped/Camp Oakhurst and The Center to Advance Palliative Care at The Mount Sinai Hospital.